Lasers and light sources have revolutionized cosmetic and medical dermatology. At Swann Dermatology, we are laser experts. 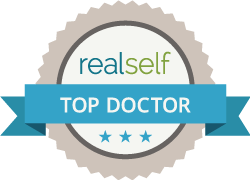 Dr. Swann is fellowship-trained in laser and cosmetic dermatology by preeminent cosmetic dermatologist E. Victor Ross at Scripps Clinic. Dr. Swann did investigational research including clinical studies on many of the devices used clinically today including fractionated carbon dioxide, erbium 2940, intense pulsed light, vacuum-assisted diode and more. Swann Dermatology is not another medical spa. We offer 417-area's only dedicated cosmetic dermatology clinic with cutting-edge treatments that are scientifically proven. Our staff is led and trained by Dr. Swann himself. We do not support gimmicks and we are not driven for sales, we are driven by achieving excellent results for our patients. We offer a variety of proven technologies for medical, surgical and cosmetic results. The single most effective laser wavelength (532nm) for treatment of facial red spots and blood vessles in a single treatment is available in Springfield only at Swann Dermatology. Sun damage or other inflammatory conditions, such as rosacea can lead to proliferation of shallow blood vessels. Dr. Swann owns Southwest Missouri’s only high-powered Gemini KTP laser which efficiently treats blood vessels with low downtime. The bright green laser light is absorbed selectively by hemoglobin in shallow blood vessels which are gently headed. This is followed by denaturing of shallow blood vessels. Some blood vessels disappear on contact with the laser. What is the Gemini Treatment? The Gemini KTP Laser is the most powerful green-light laser available and has been designed to target collections of melanin, which lead to brown pigment in the skin, and excess blood vessel proliferation in the skin. The Gemini laser is a true laser, meaning it has a single wavelength (532 nanometers) instead of the more common IPL (intense pulsed light) which is filtered light. IPL is effective for some patients with light skin and dark spots, but tends to take 3-5 treatments for the sort of lasting results that can be achieved with a single KTP treatment. Alghough IPL is commonly used by nurses in Springfield, Dr. Swann operates the only Gemini KTP laser in Southwest Missouri. Our KTP laser’s narrow wavelength allows us to target facial capillaries much better than IPL with less risks and fewer treatments. The goal in treating the skin with the Gemini KTP Laser is significant improvement of broken blood vessels leading to more even skin tone and improvements in skin texture. Additional improvements can be seen in brown spots using this laser. This can be performed with minimal downtime (2-3 days of mild swelling) and is relatively painless. What can I expect during Gemini Treatment? The KTP treatment begins with 45-60 minutes of topical anesthetic, which can be obtained ahead of time or applied in the office while you wait. Treatment of a full face requires approximately 25 minutes. Although patients do improve when additional treatments are added, usually patients only require a single treatment on their face. Sometimes a touch-up procedure is required, depending on their desired result. Protective eye shields will be placed over your eyes. Cold, clear gel is applied to your face as a coupling agent for the laser. You will be given the wand of a Zimmer chiller. The Zimmer blows cold air and the airflow will be directed at the treatment site. During the treatment, you will be able to feel each pulse of the laser energy shine into your skin, as it gently warms blood vessels and brown spots. Most patients report their pain as being 2-4 on a scale of 1 to 10, but certain areas may be more sensitive, like the upper lip and nose. After the treatment, the nurse will pass you the Zimmer wand to keep your face chilled immediately after treatment while they remove the gel from your face and take off your laser eye shields. Immediately after treatment, your skin will be blotchy for approximately 30 minutes. Although you may notice some mild swelling the evening of the procedure, generally the main part of the swelling begins the morning after the Gemini procedure. There are no breaks in the skin and no bleeding or sores after Gemini treatment. Swelling will continue for 2 to 3 days after treatment which is more noticeable in the morning and can be significant in some patients. Swelling is the main side effect of treatment. Swelling is usually the most prominent in the eyelids. This can be minimized by staying cool (ice-packs), antihistamines before the procedure (Zyrtec every night starting 3 nights before the procedure). Brown discolorations treated with the Gemini Laser will immediately darken with a grayish hue. This is not impressive, but be immediately covered with makeup if you desire. Immediate improvement in vessels is noticed, although improvements in blood vessels continue over the next 4-6 weeks. For patients with numerous vessels or background redness without vessels, more treatments will continue to help. Brown spots immediately turn gray-brown and appear more shallow within the skin. Make-up can cover these areas up, but the brown spots will flake off subtly over the next week with normal care. Dr. Swann has done extensive training with the Gemini KTP laser and is fellowship trained in laser and cosmetic procedures. Our pricing is based on Dr. Swann’s time and expertise required to treat your skin condition. He will perform the laser treatment himself. Trust your skin to a dermatologist. Single focused area $300, full face $800, neck $400, chest $500. To learn more about the treatment of age spots or photoaging and to find out if a treatment is right for you, please contact us today at (417) 888-0858 to schedule a consultation with Dr. Swann. What will fractionated CO2 laser therapy do for me? If you have spent years in the sun, especially without adequate sun protection, then you know what it can do to your skin. Wrinkles, skin discoloration, sun spots, skin laxity all creep up with age, but are more pronounced in areas of sun damage. Although prevenative measures like sunscreens and hats are the best way to age gracefully, it is often impractical. Fractionated CO2 lasers significantly reduce the damage caused by years of sun in just one treatment. Also, if you have scars from acne or other skin injuries, then you may also be a candidate for this procedure. Now, using DOT Therapy, an innovative, new laser technology, an hour treatment by Dr. Swann may restore your skin’s youthful appearance. While the aging process cannot be stopped, with proper care you can maintain your rejuvenated skin’s appearance for many years! DOT Therapy is a pioneer in the world of CO² laser resurfacing treatments. Before DOT, many patients endured long, often painful laser resurfacing procedures with lengthy recoveries in order to achieve skin rejuvenation. Historically, many procedures involved vaporizing an entire layer and surface of skin, resulting in significant downtime, discomfort and prolonged redness. In addition, old CO² lasers could not treat non-facial areas like the neck and décolletage easily because skin in these areas did not heal as well as the face. So how is DOT Therapy different or better? The DOT utilizes a ‘dot’ pattern to create thousands of microscopic perforations in the skin while leaving the areas around each ‘dot’ intact. This fractional laser allows for the skin to heal more quickly from the edge of these tiny ‘dots’. The overall procedure is safer, faster and more efficient. Doctors also have more control to customize treatment specifically to the patient and even modify treatment during the procedure for various skin challenges or problem areas. If you think you might be a candidate for a resurfacing laser procedure, Dr. Swann is the only dermatologist in southwest Missouri fellowship-trained in procedural dermatology with laser & cosmetic experience. Call our office at 417.888.0858 to schedule a consultation.